Investment in content marketing is rising every year, because it delivers great results at a reasonable price. Ask any marketing agency and they will tell you content marketing, when done well, can build brand awareness, increase hits to your company website and, crucially, generate high-quality leads. With that being said, certain types of content are more effective than others when it comes to lead generation strategy. Here, we take a look at five of the best formats available to you. In many ways, 2016 can be described as the year of video content and its effectiveness is clear. A report from Forrester states that including a video in an email increases the click-through rate by 200 to 300 percent, while Unbounce found that embedding a video in a website landing page increases conversions by 80 percent. Such statistics highlight the serious lead generating potential of video content. In addition, video content is extremely versatile, as it can be inserted into web pages, shared on social media sites, or uploaded to sites like YouTube. Best of all, HubSpot reports that consumers share 9 out of 10 videos with other people. Blog posts are the go-to option for content marketers, and part of the reason for this is because they have proven effectiveness in generating leads. In fact, WebDAM found that B2B marketers who blog regularly generate an average of 67 percent more leads than marketers who do not blog. Of course, blog posts are a very diverse content type, which can include a number of different formats within them, including infographics and videos. Most search engine consultants agree that the trick to effective blogging is to blend it with your SEO strategy and focus on providing real solutions for problems your target audience may have. E-books represent one of the fastest growing content formats in the world and projections from PwC suggest that by 2018, revenue from e-book sales will have increased by 3,000 percent in a ten year period. Despite this growth, however, they are still criminally under-utilised by businesses. An e-book allows you to go into greater detail than you would with other formats. People expect an e-book to be longer than a blog post, so will not be put off by thousands of words. This is excellent for making in-depth points and establishing yourself as an expert in your field. Businesses have the option of charging for e-books or giving them away for free and you can also collect contact information from people who buy or download each publication. Ultimately, in order to attract quality leads, you need to establish your business as being trustworthy and case studies are a great way to do this. In particular, a case study can help customers who are almost ready to make a purchasing decision to choose your company over a competitor. "It's great to include testimonials on your website... but also offer a downloadable case study to generate leads that focuses on one particular client," suggests Jessica Kandler, writing for MySiteAuditor. "Great case studies include specific examples, results supported by metrics, and testimonials from your client." Webcasts or web seminars are another great method for generating leads, especially when dealing with other businesses. A 'webinar' gives you the chance to demonstrate your expertise and provide examples of how your products or service can be used, without needing to meet face-to-face. According to research conducted by the Content Marketing Institute, webcasts and webinars are the second most effective B2B tactic, with only in-person events proving more effective. The key to delivering successful webcasts is to use engaging speakers, research what customers want to see beforehand and conduct follow up research. Finally, they might sound like an old fashion format but White Papers or Guides tend to work extremely well when used the right way. Producing an in-depth piece of content (ideally backed by in-house research, recent data or scientific discovery) in line with your audiences’ needs is a proven lead generation tactic. 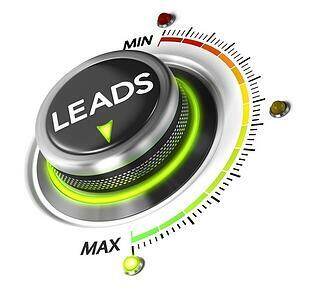 They have the benefit to produce targeted leads as well as reinforce your company’s expertise in your industry. After all, according to the Content Marketing Institute, White Papers are the 4th-most effective B2B content marketing tactic (after in person events, Webcasts and Case Studies) so they are worth investing in at regular intervals within the year. The other great advantage of any more substantial piece content is that it can be repurposed, segmented and outreached for longer periods of time, which means that in the long run, the return on investment will be greater. Regardless of the format you choose. Start with the end in mind - that being lead generation. If your content idea don't seem like it will attract leads, you should consider the reason you're creating the content in the first place. Christelle Macri is the founder of Ebizpromotion, a leading SEO agency in Berkshire, with a no-nonsense and ethical approach to digital marketing. 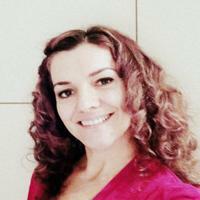 She is also search engine expert with over 17 years experience in the Internet advertising industry. Having worked for a major search engine and pioneering pay for performance advertising networks, she is an expert at turning her clients’ websites into consistent revenue streams, using a variety of digital channels. Feel free to connect with her on Twitter.